If it’s not quickly dealt with, bad odor can make your home uninhabitable. Clogged drains bring most of these bad smells in our home. Without a clean drainage system, you will always suffer from acrid smells. Always take a proactive measure rather than to rush when the smell is out of control. There are numerous options to choose from when it comes to cleaning your drainage system. It’s your choice to pick any of them and use it to your advantage. Some of the clearing clogged drain methods include the use of chemical cleaners, organic solutions, plumbing snakes, or hiring a professional plumber among others. The above methods may be a little bit expensive so we recommend you just prevent the clogging rather than clearing the drains after clogging. Taking preventive measures is very easy. You only need to be cleaning your drain regularly. This method will always ensure that you have a clean drainage system that will lead to a clean surrounding. Are you aware that food particles and other unwanted products are the primary causes of drain clogging? Once they get into the pipe, they get hipped up, and with time the pipe becomes blocked. This causes the clogged materials to start decaying thus producing the bad smell. A drain strainer is a perfect solution when it comes to this problem. It can sieve the large particles from penetrating to the drainage pipe. Buying the strain will cost you the very little amount of cash comparing to hiring a plumber to unblock the system. This is why the use of a strainer is highly recommended. Greasy and oily products are generally known to be less viscious. This makes them very sticky and makes other food products to be trapped. As a result, they end up blocking the pipe. The process of decaying starts producing an awful odor. If the drain is not cleared within a very short time, a bad smell may spread all over the house to an intolerable level. If you have sticky food, it’s advisable to put them in a trash can and then dump them in a pit or wait for the sanitation workers. Boiling water is among the best methods you can use to clean the drain. Hot water will always melt the greasy and oily products sticky on the pipe. This will ease the rate at which the food materials get trapped inside. Hot water will also kill some of the fungi and bacteria that causes decay thus reducing the bad smell. Pouring boiling water should be deon regularly like once or twice in a week. Other small products may also cause clogging. Some of these include hair and soap scum among others. The hair coils up with other materials forming a large particle which ends up clogging the pipe. To prevent this problem, a drain screen is crucial. It is readily available in the hardware stores and other shops near you. Drain screen is like a sieve and is placed on the opening of the drain. It traps all the hair and soap particles among other materials. One of the biggest mistakes people do is drop thick paper products down the drain. Thick papers take some time to absorb water and move down the drain. As a result, they end up blocking other waste product from passing through. This causes clogging in the drain. Papers will definitely cost you a lot of money to drain and that is why they should be avoided at all cost. Put paper products in your dustbin or put them anywhere else but not throw them down the drain. You can avoid some of these clogging products even before they reach the drain. A washing machine is known to produce some fabrics and facial tissues which are known to block the drain. To avoid this waste from reaching the drain, you can use a lint catcher. It is installed on the hose pipe that drains water which will then trap all the fabrics and other big particles. This ensures they don’t reach the drain. It eases the process of cleaning the drain since no fabrics will ever reach the drain. Joint setting compounds are those products used to join other products. When you allow the product like cement to get into your drain, it will form hard particles like stones which will block materials from flowing through. To some extent, these products may cause a permanent blockage. This may result in putting up of a new drain which may be costly. Avoid any waste material which is mixed with setting compounds to ensure that you enjoy a clean drain throughout your lifetime. Cleanliness starts with the area surrounding the drain. If the area is dirty and unkempt, the rate of the big particles entering the drain is very high. Sometimes you might find leaves, twigs, fabrics, soil or any other waste material around the drain. They are the cause of clogging once they penetrate inside the drain and hence should be removed at all cost. Make it a habit of looking at the drain area daily to ensure its safety at all times. Some people think that cleaning the drain with strong drain cleaners is the solution but sometimes it may not. If your drainage system is made up of metallic pipes, som eof these chemicals may corrode with it causing permanent damages. 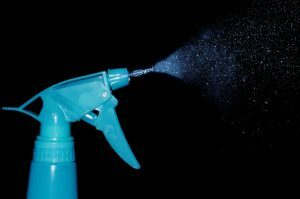 Use the normal drain cleaners but mostly apply the preventive measures to avoid unnecessary costs after that.